This book is concerned with the causes and consequences of river and coastal floods and the ways in which people can respond to the flood hazard. Individual chapters address issues such as floods as natural hazards; impacts and interpretations of flood hazard; causes, spatial characteristics and form of river floods and coastal floods; flood estimation; flood defence; flood forecasting and warning; other responses including land use planning and insurance; and a concluding discussion of problems, policies and prospects. 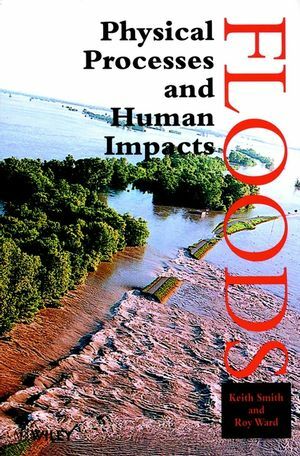 Floods has been written by two experienced and successful authors whose complementary skills are combined to give a broad, comprehensive and up-to-date treatment of the subject which can be used not only as a text book or learning manual but also as an authoritative reference source. This has been achieved by organising and structuring the material to demonstrate the continuity and linkages between the causes and impacts of flooding and the many possible responses to the flood hazard. At the same time the book ensures that discussion of each of the main themes and topics is, as far as is practicable, self-contained. The book is timely in several aspects. It addresses the topicality and universality of floods which are an increasing hazard at a time of global environmental change (climate, land use, population distribution etc.). It also offers the layman and practitioner alike a synthesis and clarification of many individual research efforts near the close of the International Decade for Natural Disaster Reduction. Keith Smith is the author of Floods: Physical Processes and Human Impacts, published by Wiley. Roy Ward is the author of Floods: Physical Processes and Human Impacts, published by Wiley. THE FLOOD HAZARD IN CONTEXT. Floods: Physical Events and Natural Hazards. Impacts and Interpretations of Flood Hazard. RESPONSES TO THE FLOOD HAZARD. Mitigating and Managing Flood Losses.